Welding is a process that joins materials, usually metals or thermoplastics, by softening with heat and applying pressure. The main categories of welding are MIG welding, Arc welding, Gas welding and TIG welding. Stick welding is the most popular and common form of Arc welding. This article will discuss in detail sticking welding and how you can become a good stick welder. It also talks about the best stick welder units available on the market. 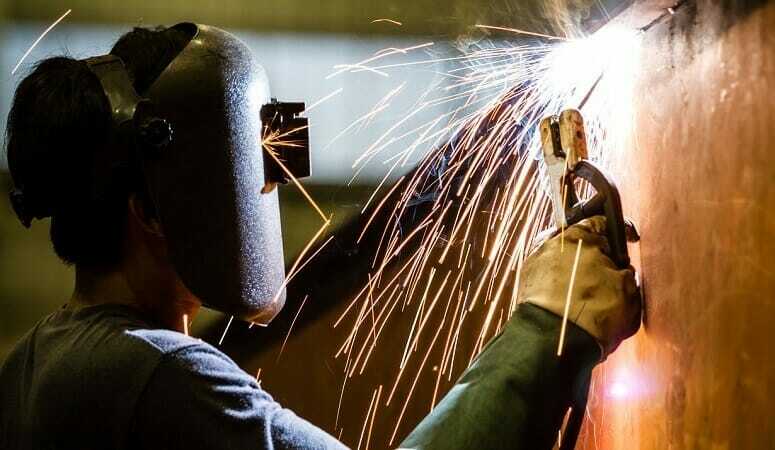 Stick Welding, also known as Shielded Metal Arc Welding (SMAW), is the most widely-used among the arc welding processes. It uses an electrode and electric current to join a variety of metals. The electrode is made up of a solid metal rod or stick surrounded by a coating of compounds and metal powders with a binding agent to help them bind to its surface. Electric current, either alternating or direct current, is used to make an electric arc between the electrode and the metals to be joined. The electrode conducts electric current to the arc and provides filler metal for the joint. Stick Welding or Shielded Metal Arc Welding is one of the earliest and most popular welding processes. Its simplicity and versatility contribute to its popularity. It is used primarily to weld iron and steel and is used extensively in the maintenance and repair industries and construction of heavy steel structures. The history of Stick Welding can be traced back to 1800s. In 1800, British chemist and inventor Sir Humphry Davy developed an arc between two carbon electrodes using a battery. Gas welding and cutting was introduced in the mid-1800s. It was in the 1880s that arc welding with the carbon arc and metal arc was developed. In 1881, French electrical engineer Auguste De Meritens used the heat of an arc to join lead plates for storage batteries. His student Nikolai N. Benardos was awarded a patent for welding. In 1890, C.L. Coffin of Detroit was granted the first U.S. patent for an arc welding process using a metal electrode. Around 1900, British inventor Strohmenger introduced a coated metal electrode. He used a thin coating of clay or lime and noticed that it provided a more stable arc. During the period of 1907 to 1914, Oscar Kjellberg of Sweden came up with a coated electrode which looked like a stick. Later on, pieces of iron wire dipped in thick mixtures of carbonates and silicates were used to make stick electrodes. Stick Welding is a process that uses a flux-coated electrode to form the weld. The electric current passes through the coated electrode or welding rod and arcs at the point of contact with the base metal. As the electrode begins to melt, the flux coating around it creates a cloud of gases that shields the molten metal and prevents it from oxidizing. This is why it also called shielded metal arc welding. The gas cloud settles on the pool of molten metal as it cools, and turns into slag which must be chipped off after welding is completed. The Stick Welding process is quite simple and does not demand a great deal of specialized equipment. Though Stick Welding is one of the most common forms of arc welding, it is a difficult process to learn. To be an effective stick welder, one requires higher skill level and mastery of certain techniques. Here are three important things that a beginner needs to focus on. The electrode you choose determines whether your machine requires DC positive, DC negative, or AC. Use the correct setting for your specific task. Electrode positive offers more penetration, while electrode negative gives better results for thinner metals. Select your amperage based on the electrode, welding position, and visual inspection of the finished weld. Follow manufacturer’s recommendation for ideal amperage setting. Having the correct length of the arc is crucial for stick welding. Each electrode and application require a different length of arc not exceeding the diameter of the electrode. For example, a 0.125-inch 6010 electrode is held about 1/8 inch off the base material. For welding in the flat, horizontal and overhead positions, use a ‘drag’ or 'backhand’ technique. The electrode should be perpendicular to the weld joint. Tilt the electrode's tip at 5 to 15 degrees in the direction of its travel. For vertical welding that moves upward, use a ‘push’ or ‘forehand’ technique. Tilt the electrode away from the travel direction at 15 degrees. Now let's have a look at some of the stick welders that will serve you best. 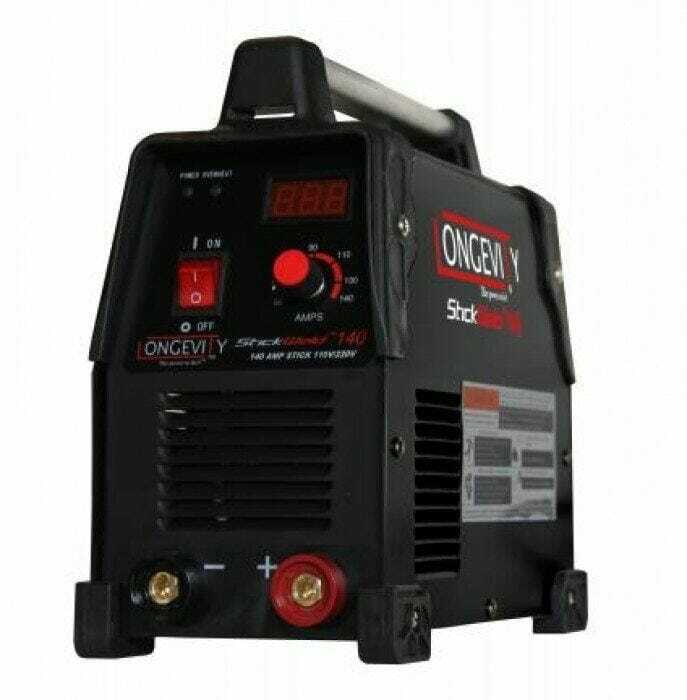 The Longevity Stickweld 140 is an ideal unit for welding enthusiasts and repair people. Weighing just 13 lbs., it is super portable and efficient. The ability to connect to 110v or 220v outlet is a big plus. This machine is lift TIG operation ready and makes it easy to attach a TIG torch to work with a variety of metals. It welds 6011, 6013 and 7018 stick welding rods with great ease. It’s a well-designed and easy-to-use machine which works well for less experienced people. It comes with power plugs and a power switching adapter. It also has a digital display to tell the amp setting. This compact unit runs on 110v and has a 100% duty cycle. It is ideal for occasional welding, small operations, homes and even small local businesses. It can weld mild steel that is up to ¼-inch thick. It weighs 28 lbs. and is flexible to move around for different jobs. This machine is small, rugged, and well built. It requires a 1/8-inch diameter rod but can even work with 3/32-inch diameter rod or 1/2 rebars. Penetration is good at full amp loading. The Forney 298 is another lightweight and inexpensive unit with inverter power technology with 120v input and 90amp output. The unit performs well in dirty, rusty, and windy environments. This portable unit is ideal for your outdoor tasks and it can handle a wide range of filler metals to meet your specific welding requirements. It is also capable of doing a few automotive tasks and projects at home. It is also capable of TIG welding. It handles up to 1/8-inch electrode and welds up to 5/16 inches material. Of course, you're going to want something to lug your machine around on. Let's have a look at some of the top carts. The Goplus Universal Welder Cart is a great sliding cabinet which keeps all your stick welding tools and supplies organized in one place. This 4-drawer cart’s maximum holding capacity is 100 lbs. It comes with ample storage space for a small welding setup and is easy to assemble. This steel-built cart with durable finish will sustain rigorous usage for years. Its organized drawers will store all your small welding needs. Drawer size: 7 in. x 11.4 in. Top tray size: 11 in. x 17.3 in. 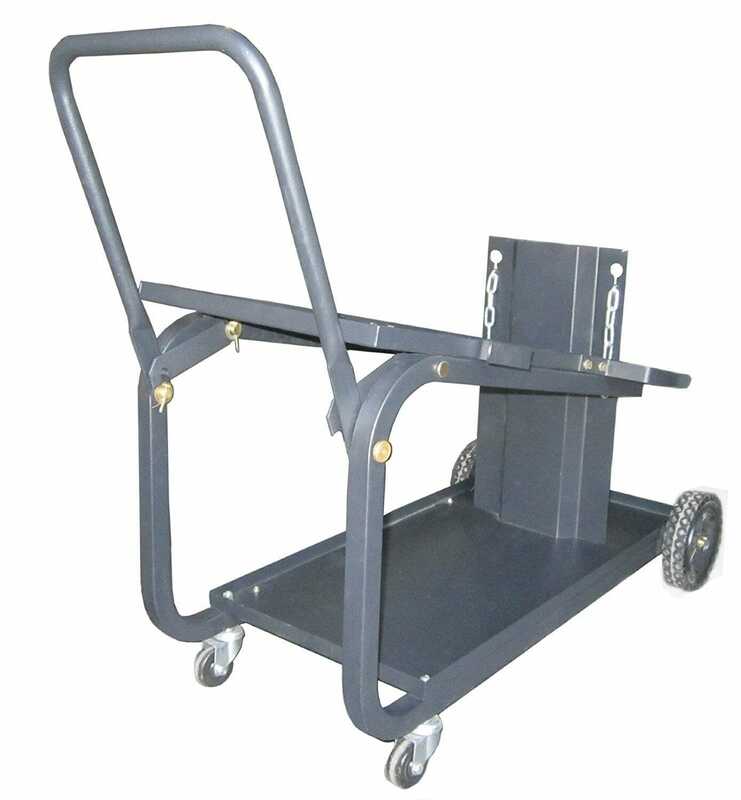 The Metal Man Universal Welding cart makes your welding activities easy. This compact and sturdy cart has a maximum weight capacity of 110 lbs. The single cylinder rack is capable of holding up to a 7-1/2 inch diameter, 80 lbs. cylinder and comes with a securement chain to hold the cylinder in place. The slanted top shelf suits most equipment and places the welder controls at an easy-to-use angle. 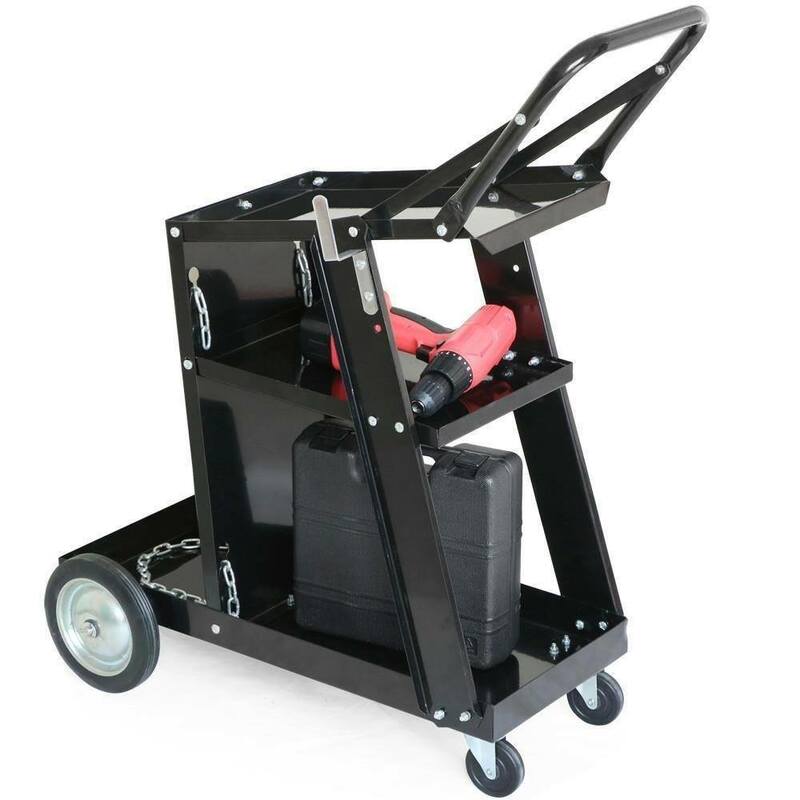 With its new fold-down handle, you can easily move your welding equipment. Overall Dimensions = 32.3 in. x 18.3 in. x 29.7 in. Shipping Weight = 32 lbs. 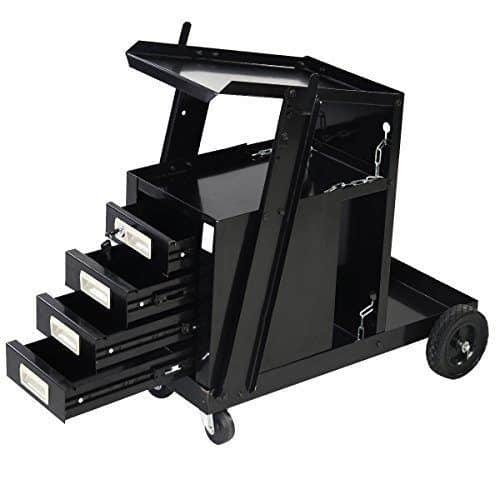 Like most welding carts, this unit is designed to accommodate all types of welding machines. The Yaheetech offers large amounts of space that will easily handle your stick welder and all the other supplies you might want to bring along. Three levels of storage; the top level is slanted and the lower two levels are flat, it is easy to maneuver, with two front casters and two quality fixed wheels. It is not an industrial-quality cart and doesn't have enclosed storage, only open shelves, but its sturdy build has the ample space for gas cylinders when you use other welding types. To become a good stick welder, it is very important to learn the right way. Getting the basics right is crucial in stick welding and it will help you master the skill at a higher level as you go forward. As the old adage correctly says, practice makes perfect. So, remember to practice often. In spite of its being of the earliest forms of welding, stick welding is still the most popular among the arc welding processes. It’s a simple process that brings in portability and does not require sophisticated or expensive equipment. The process is less sensitive to wind or drafts and gives great results in most of the environments. The process is suitable for most metal and alloys and is a great option when you are working in areas with limited access.